Bruce Lee is a legend that brought Chinese Kung Fu to the world. Li Xiaolong asked Shi Cheng Ye, and then created his own Jeet Kune Do, becoming a master generation. This picture shows Bruce Lee and Master Ye Wen practicing. Bruce Lee has starred in many films, and each has become a classic, such as: "Tangshan Big Brother", "Jingwumen", "Dragon Fighting", and many others. Bruce Lee has created Jeet Kune Do, and has also changed "Long Bridge Power" Hunchun to inch boxing. The inch boxing of Li Xiaolong can drop 75 kilograms out several meters, indicating the strength of the road. The fist strength is in the hands and fingers. 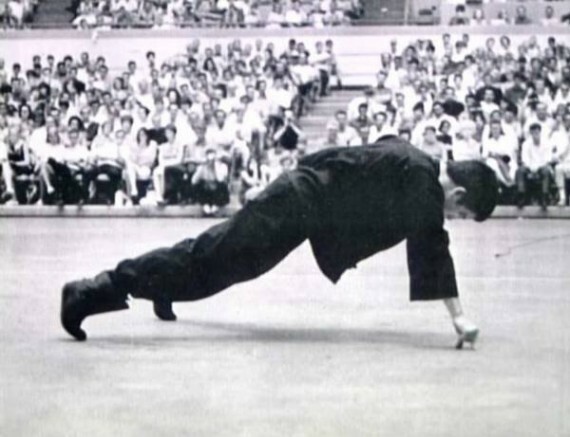 The picture shows one of Bruce Lee's one-handed fingers doing push-ups. 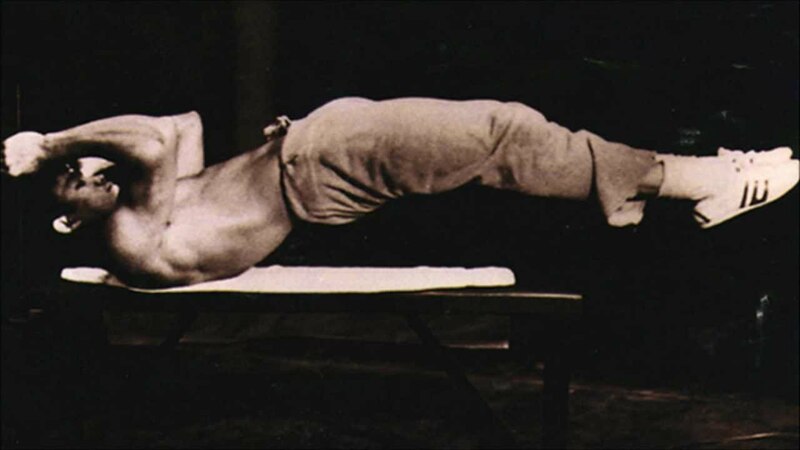 It is said that Bruce Lee can do 200 push-ups with one hand and two fingers. The average person has a small arm to support the body, and one arm and two fingers do push-ups, which ordinary people cannot do.